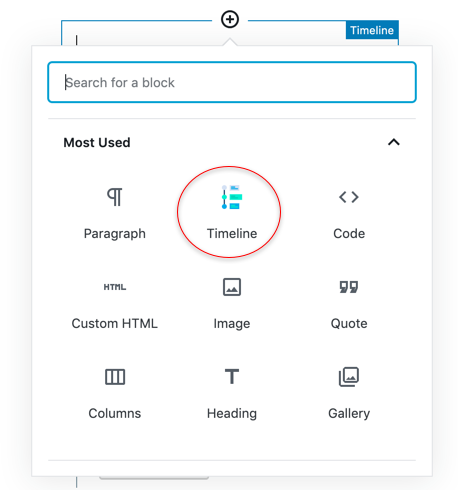 Timeline is WordPress plugin that adds a new block in the Gutenberg editor. The items on the timeline are made up of free-text and images. it can’t contain a dynamic list of posts.